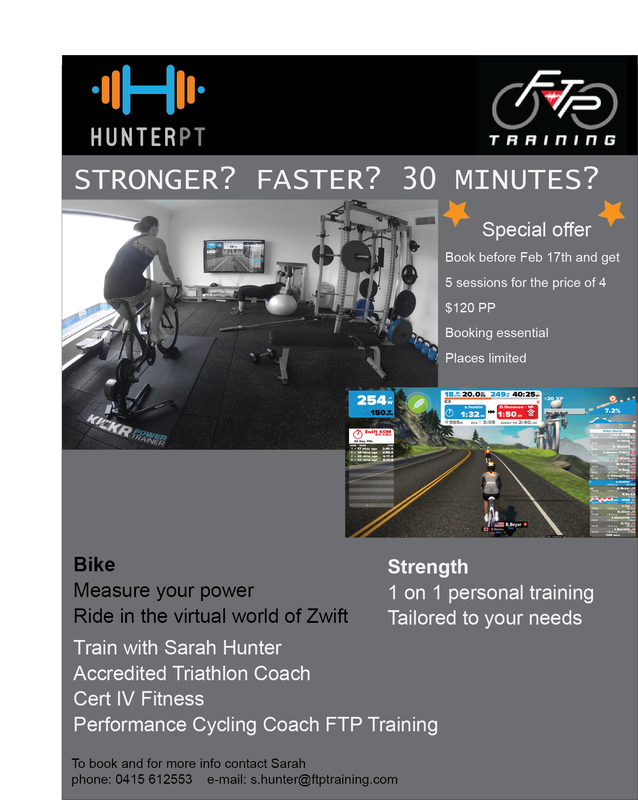 I am super excited about these sessions, they are great for triathletes and cyclists, delivering a great bike workout and sport specific strength work. 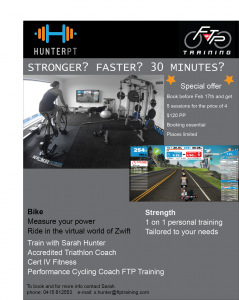 Find a buddy to train with as the sessions are for 2 people. Sessions are 30 minutes long and will be run at my studio in Trigg.